LG Nexus 4 press render leaked | Android Blast! Is this the LG Nexus 4? It sure looks like it. The picture above looks just like several other leaked photos of the next Nexus phone. It looks a lot like the shape of the current Nexus phone, but a bit more refined. 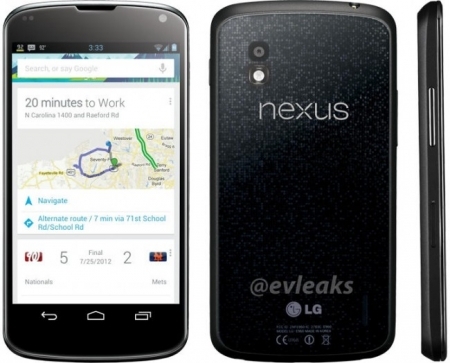 The Nexus 4 is expected to be unveiled on Monday, October 29 which is why we are seeing so many leaked photos. If you like bare bones, stock Android and need a new GSM phone you might want to pick up one of these. Stock Android is the way to go!